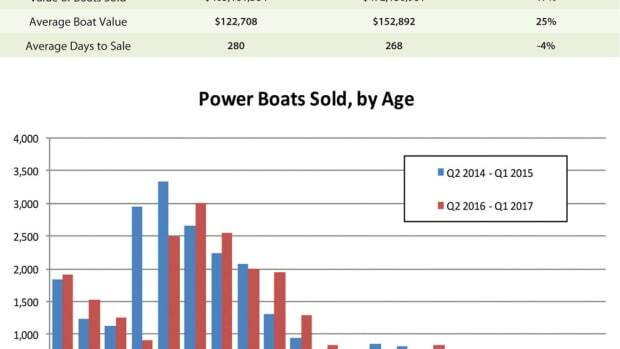 Sales volume declined 7 percent for U.S. yacht brokerages in June from the same month a year earlier. Was it merely the cold, wet weather? U.S. brokerage sales continued to be weaker this spring as 3,088 boats were sold in May, 6 percent fewer than in the same month last year. 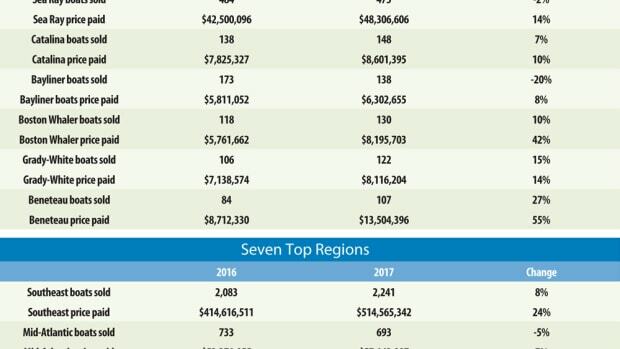 Year-over-year sales volume declined 6 percent for U.S. yacht brokerages in May, marking the third straight month of lower sales. 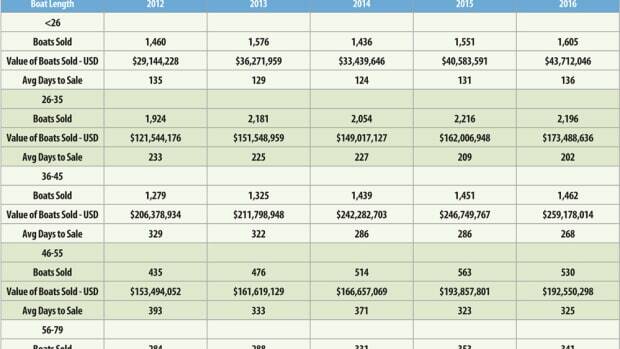 After higher-volume sales to begin the year, U.S. yacht brokers have reported slightly lower sales in recent months. Volume declined by 82 boats in April as sales slipped from 2,916 to 2,834, a 3 percent shift. 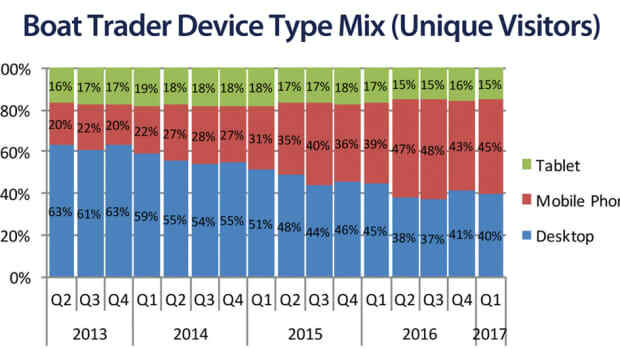 The shift toward use of smartphones among unique visitors to the Boat Trader website continued during the past 12 months. Sales in the U.S. yacht brokerage market fell 3 percent in April from the same month last year. There were smiles on the faces of many brokers during the first quarter this year. After moderate gains in January and February, U.S. brokerage market volume eased slightly in March, but total volume for the three months was 3 percent higher than in 2016 at 5,709. 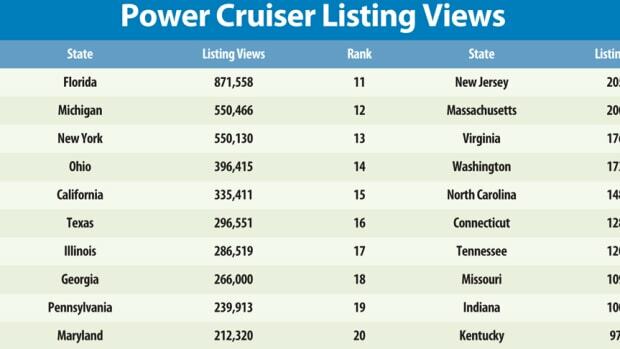 Power-cruiser models were the second-most-viewed class of boat on Boat Trader in 2016. U.S. yacht brokerage sales slipped from 2,437 in March last year to 2,387 in the same month this year, a 2 percent decline. Whether because of a warm winter, a rising stock market or a post-election bounce, U.S. brokerage sales volume and total valuation increased for the second month running in February. 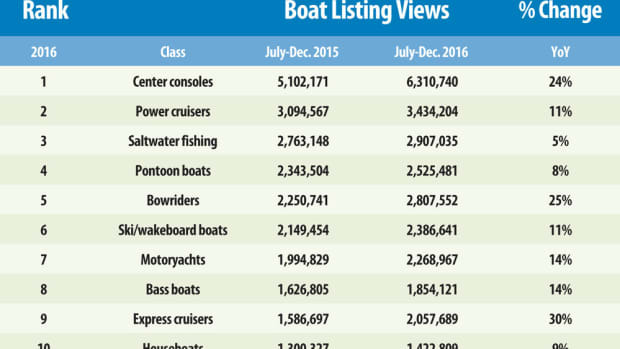 Center console models were the most viewed class on Boat Trader last year. 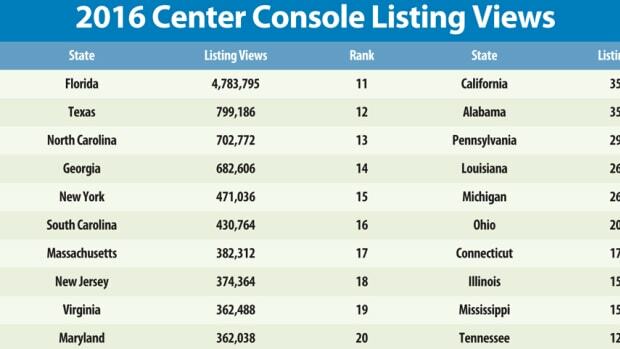 Site visitors looked at listings for center consoles, new and used, about 12.7 million times, nearly double the 6.5 million times that boats in the No. 2 class, power cruisers, were viewed. 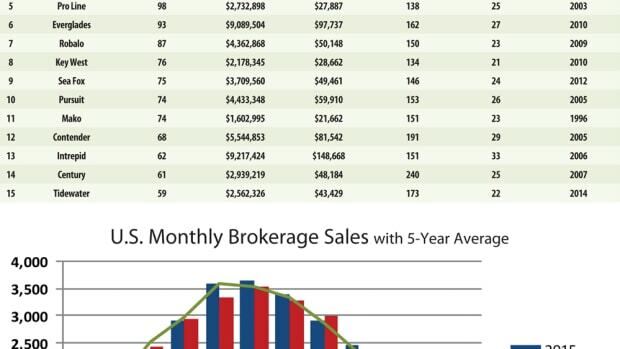 In February, for the second month in a row, U.S. brokers reported higher sales. It’s one month into the new year and, after finishing 2016 in the doldrums, the U.S. brokerage market has made a fast start. 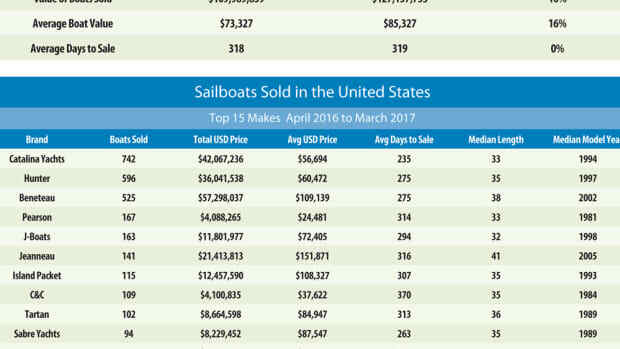 U.S. brokers posted a moderate increase in sales volume in January and a major gain in the total price paid for the boats that were sold. For the third year running, U.S. yacht brokers reached the end of December with fewer boats sold than the year before. Everybody wants a center console! 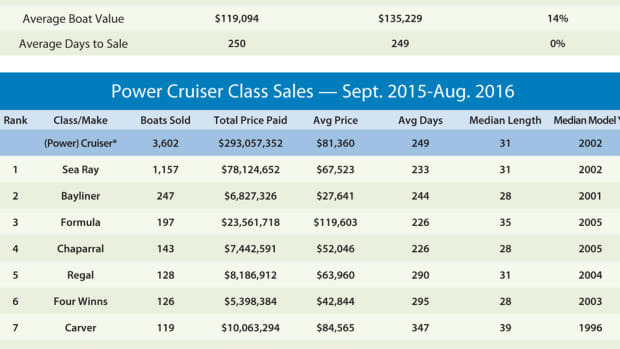 At least that’s the indication in a recent tally of the most-viewed boat classes on the Boat Trader website. 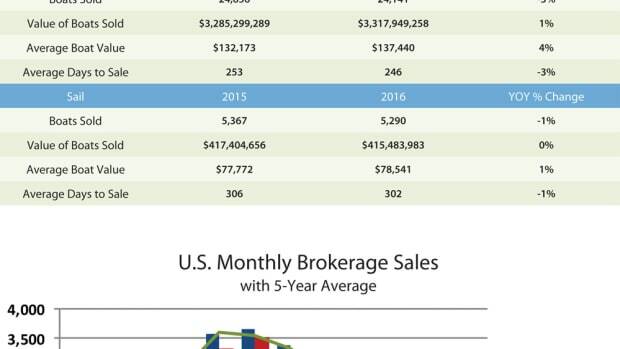 U.S. brokerage sales tailed off by 4 percent in December. U.S. brokerage sales volume of 1,858 boats in November was in line with recent years — lower by 11 boats, or 1 percent, compared with the previous November. 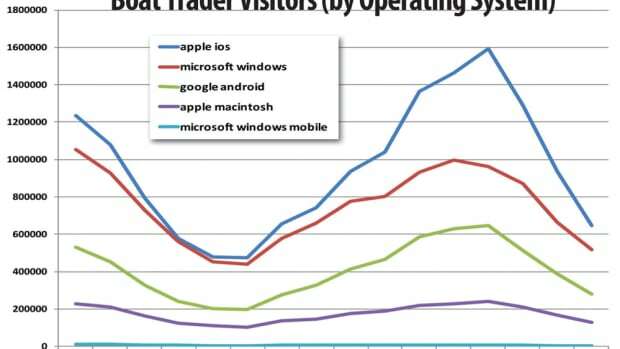 Boat Trader website visitors increasingly continued to shop for boats on mobile devices during the last year and this report drills down to the operating-system level. 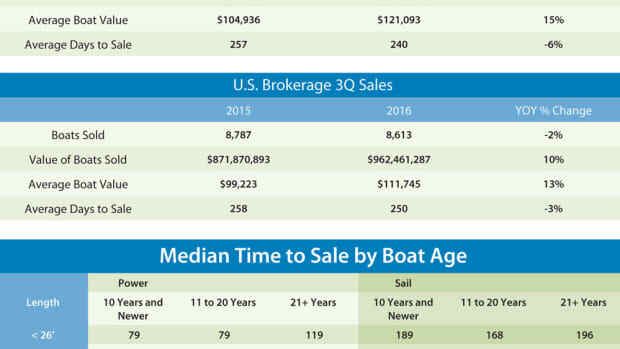 U.S. brokerage sales were 1 percent (11 boats) below the same month in 2015. U.S. brokerage sales declined in October for the second month in a row, falling 9 percent as 2,029 boats were sold. 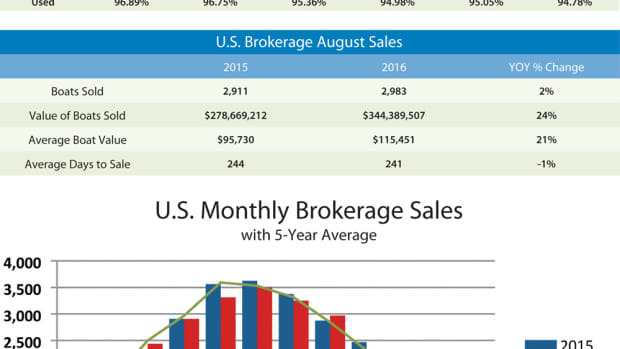 U.S. brokerage sales volume in September was 4 percent lower than the previous September. 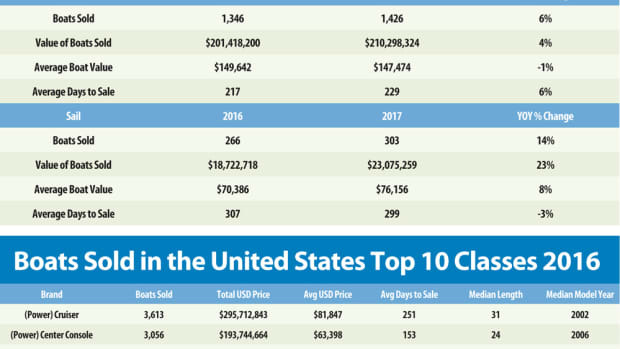 U.S. brokerage sales reported by YachtWorld member brokers rose 2 percent in August to 2,983 boats from the same month last year, the first monthly uptick since April.